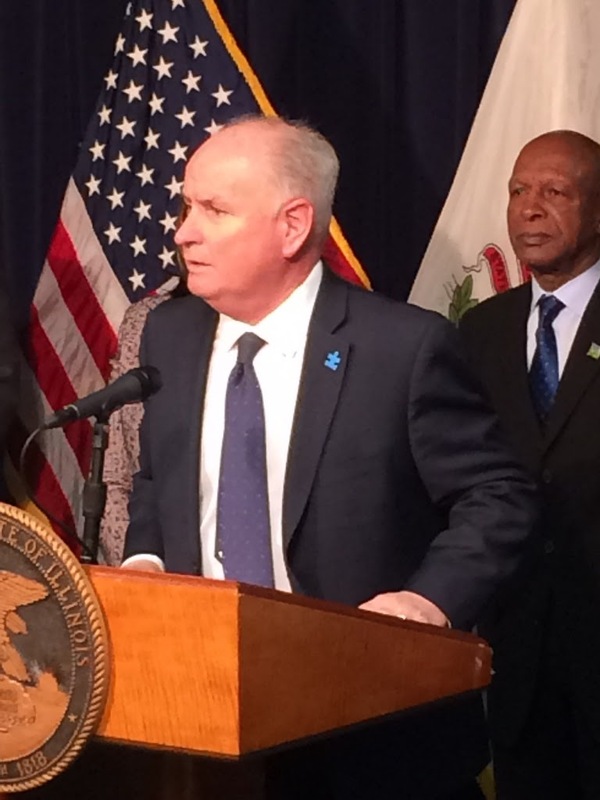 State Representative Dan Brady on Thursday joined a bi-partisan group of lawmakers and Illinois Secretary of State Jesse White in unveiling new legislation that would help create more life-saving organ and tissue donation opportunities in Illinois. Representative Brady (R-Normal) is co-sponsoring House Bill 1805 that would permit 16 and 17 year-olds to join Illinois’ First Person Consent Organ/Tissue Donor Registry when they receive their driver’s license or state ID card. “This legislation will give new drivers a voice to express their wishes regarding donations, which will be of great guidance to their parents who will continue to have the final decision until they are 18 years of age,” Representative Brady said. Under the bill, 16 and 17 year-olds may sign up with the registry to donate their organs in the event of their death, but for minors under the age of 18 good-faith efforts must be made to notify parents or guardians who would still be able to make the final decision on the donation. 47 states have enacted similar legislation including neighboring Indiana, Kentucky, Missouri and Wisconsin. Improving Illinois’ organ donation guidelines to promote life-saving donations is a continuing priority for Representative Brady. In the previous 99th General Assembly he authored and passed a new law to help facilitate donations by expediting the permitting process for briefly transferring a deceased organ donor out of state for donation.